This ad was taken from the National Geographic Magazine,Feb 1953. 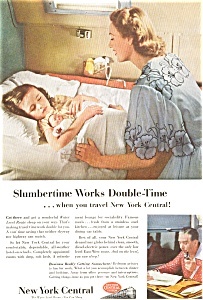 It describes trains of the New York Central Water Level Route Slumbertime Works Double-Time. This ad is in good condition considering its age.